This week we have gone back to our old roots and started cabling our new office, come nice new cat6 UTP and only seems like yesterday that we use to pull hundreds of these cables each day. Our new office only need 25 drops plus a couple of telephone cables, which we just use the same cable now a days. Same old problems that we are going to look at starting with the numbering of the cables, yes we used a sharpie, but soon realized that we do sell things to make this easy. So off to the stock room and we used the small labels 1 through 25 at each end, with a sharpie and it worked very well as we pulled the cables. The cable pulling went well and we used all the right stuff to the point of over-engineering just the 25 cables in the office. We used some old Krone 4 gang outlets as we have the labels that fir the outlet/data jacks. We then hit the Patch panel, no big job, just punch down and labels. 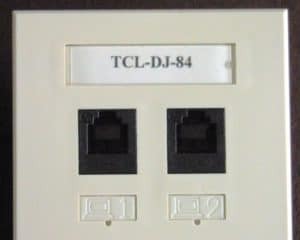 We also numbered all the cable with a new set of printed cable labels the TCL-49. 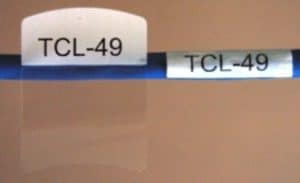 This entry was tagged blog, cable label sheets, cable labels, electrical contractors, low voltage, TCL-49, Tech cable labels, wrap around cable labels. Bookmark the permalink.